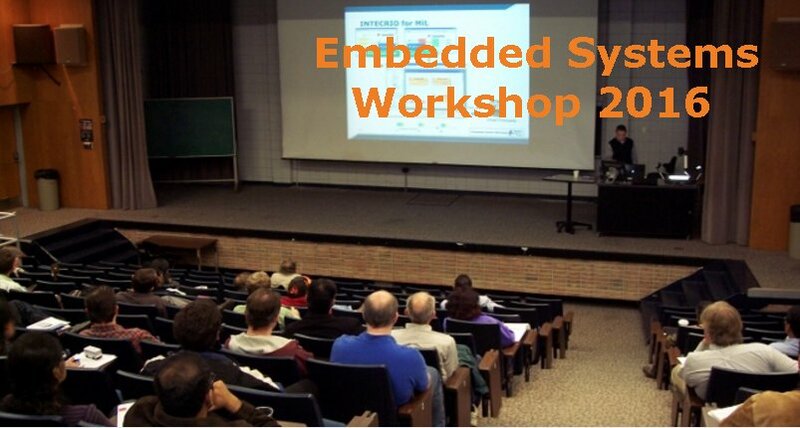 See the Embedded Systems Workshop 2015 presentations and schedule from last year. You must register. Register online and indicate your lunch preference. 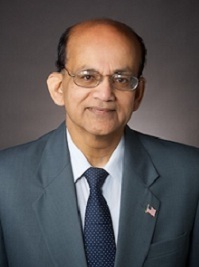 For Technical questions, contact: Prof. Subra Ganesan at: . 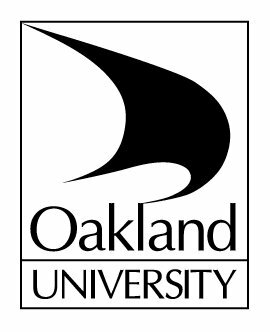 More information and a registration link can be found on the Embedded Systems Workshop vTools Calendar Meeting page. 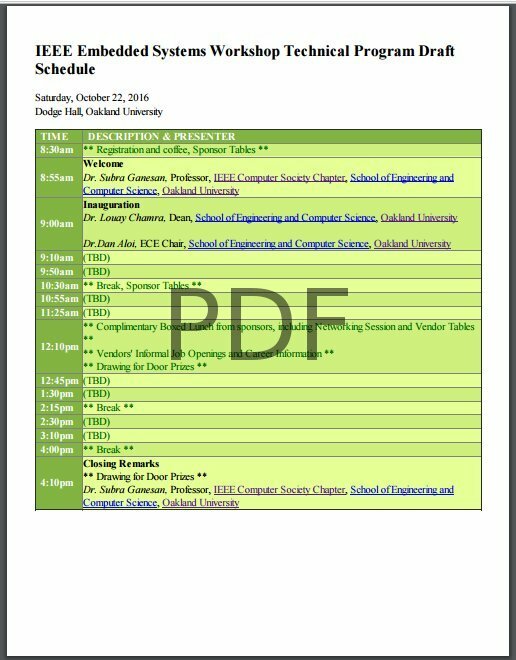 Embedded Systems Workshop vTools Calendar Meeting page. 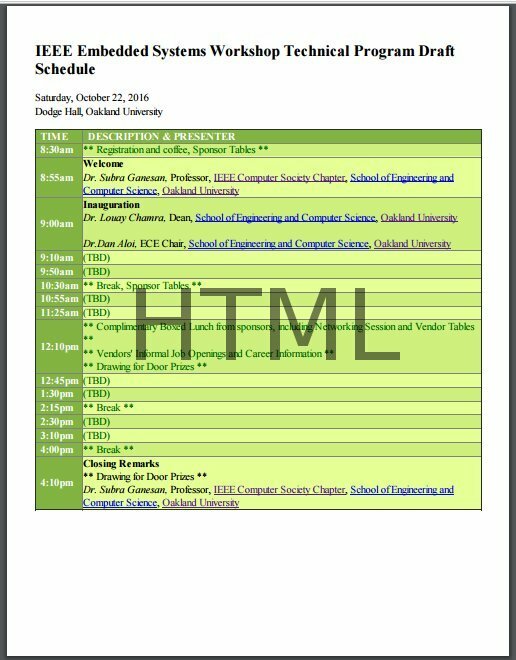 Printable view of this program schedule in html.